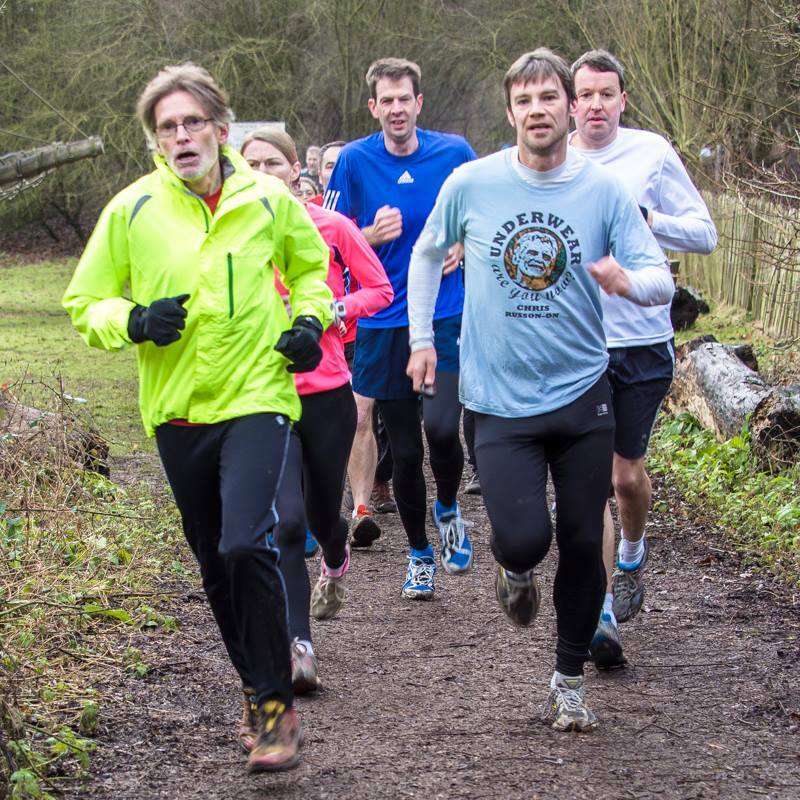 Cambridge parkrun’s 5th anniversary today and fancy dressers (or rather cross dressers) were out in force. No surprise this wasn’t a record crowd because the weather proved to be entirely predictable for this time of the year – cold, overcast, threatening snow/sleet and lots of icy, muddy puddles to up end you. 446 took part and it was undeniably a fun morning. After the run, we had a good coffee with friends and discussed the races we intended to run over the next few months and into the summer. I lead this small pack of aggressively competitive runners hungry for success. Because of my altruistic mindset I allow them to overtake me a few metres further on. I also opt to maintain my open mouth, thoughtful zombie look so they take the better picture. 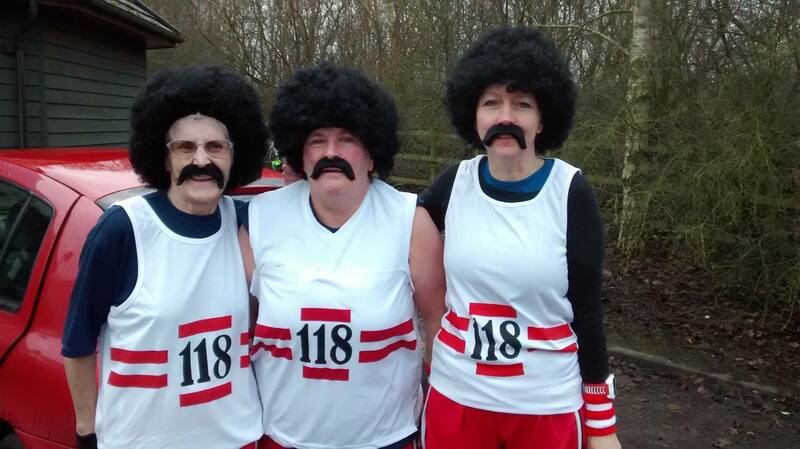 The 118 on the left is Mary Holmes who, I believe, is 78 and occasionally gets a 95% age grade at parkrun. Her best time is around 26 minutes. Phew!!! The days have passed and Janathon is now over. Janathon total mileage is 104, 9 miles more than last year despite my injury. This entry was posted in a nice cup of coffee, difficulty accepting friends have the cheek to run faster than me, Exercise and heart disease, Heart disease, Janathon, parkrun, Running, running with heart disease, Uncategorized and tagged Cambridge half marathon, exercise, heart disorder, Janathon, parkrun, running, Running injury. Bookmark the permalink. Well done on completing Janathon 😀 I have enjoyed reading your blogs and even had Brussel sprouts for dinner. Reply below, I think. It’s getting late. 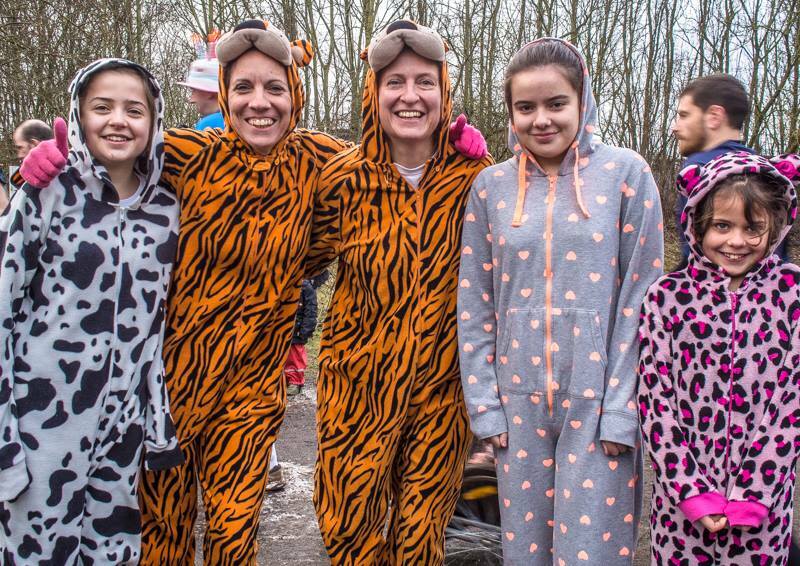 Amazing mileage – well done! Thanks. But be wary of the lure of Brussels. You could find yourself eating them every day. It’s a slippery slope.